1. Please tell me the reason for establishing Baton Music. In 1996 we experienced that there was not a publishers specialized in transcriptions. 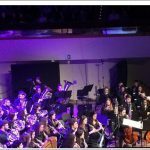 Transcriptions of classical music can contribute in many ways to the development of wind bands, wind band players and of course the audience. 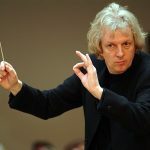 With our expertise with some of the world’s best Symphonic Wind Orchestra – which did already play some of Jos van de Braak’s transcriptions – we thought it would be good to establish a company that does only good transcriptions. And now after more then 20 years we are the leading company in transcriptions for Symphonic Bands with over 800 titles. Besides that there is not any other company with such an extended catalogue of vocal music with accompaniment of a Symphonic Band or wind Ensemble. Our slogan is ‘Baton Music, the fines transcriptions for Symphonic Band’. 2. What arrangement/translation is “a good arrangement/translation” you think? A good arrangement shows immediately (at first sight) the original score to the conductor. There is much respect for the original composition. 3. Are there plans to add Japanese arranger/translater’s works to the catalog of Baton Music? Why not? We get publications offered from all over the world. These arrangers recognize our policy of arranging. So when a Japanese arranger comes with interesting work we are always prepared to have a look at it. But only when it fits with our point of view concerning arrangements we can consider a publication. 4. In playing works arranged or translated for wind band, do you think what is the most remarkable point for conductors and players? To pay much attention at coloring, sound and stylish interpretation. Therefor it’s sometimes necessary to make the arrangement not for a complete (large) orchestra. But when the score is extended, of course a full symphonic band has to play; with enthusiasm and passion. Our advise to conductors and musicians should be, please always respect the original composition. That will give much satisfaction. 5. Please tell me about the future prospects of Baton Music. We will go on with publishing classical transcriptions of all kind of genres. Sometimes well known but also the more rare works. There are still so much titles that can be transcribed. Of course we will continue our focus on the vocal (opera / operetta) repertoire as well. And when someone has some thoughts or ideas, please let us know. 6. 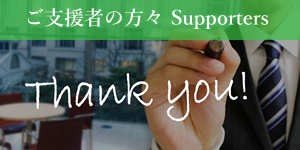 Please give a message to Japanese wind band fans.